It was a beautiful setting for APC’s second learning journey with our members – the magical Inle Lake in Myanmar. 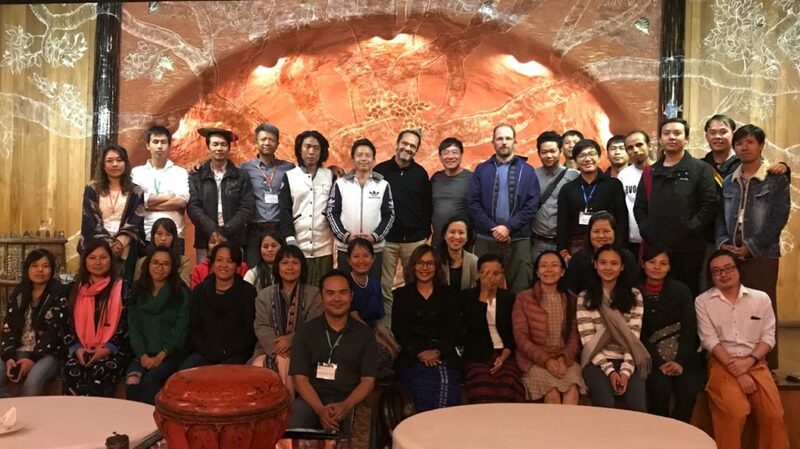 This time around, 3 additional members joined APC Chair, Stanley Tan and CEO Laurence Lien to participate in the capacity building work with the Myanmar Community Development Fund. 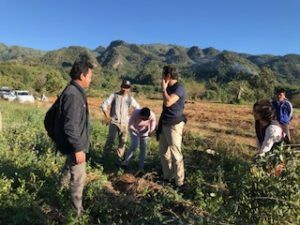 Before that, Antoine Firmenich, Christopher Franck and Dr. Lee Oi Kum went onsite to view Winrock agriculture projects that helped the farmers replace poppy with other crops like coffee and ginger. Supported by USAID, the farmers are given help with regards to farming practices and technology, access to market, and other aspects of the supply chain management. In fact, their coffee has proven to be specialty-grade, i.e. world class, and through their promotion, the coffee has been successfully receiving orders from the US, Canada and Australian retail chains. The group also had an amazing experience at Inle Heritage, a hospitality training school and hotel with some unique attractions. APC’s Myanmar partner and local community leader, Yin Myo Su (Misuu), who is also the owner of both Inle Heritage and Inle Princess Resort, brought the group on a tour, explaining the architectural and culture heritage of the premises, the ecological problems facing the lake, and also the personal story of how the Burmese cats were brought back to the area. APC members were later joined by local leaders, including an MP from the Kalaw region, and other community leaders even flew in from Yangon to contribute to the workshop and to nurture the youth leaders in attendance. The main objectives of this series of workshops are to empower and enable these local youths to identify the issues in their community that they want to work on and to help them find the best solutions to these with the support of APC’s resources. Operating under the Myanmar Community Development Fund (MCDF), the second workshop saw 11 projects ranging from environment conservation, to vocational education, and the majority on livelihood creation. 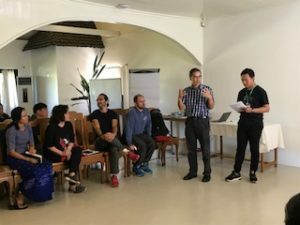 Some of these projects demonstrated great potential for scalability and replication for greater impact, whilst most others still required a lot of work with technical advisory, business modelling and development support. Members sat through presentation after presentation, and tired as they were, they were also energised by the passion and fervour that the youths embodied with their projects and for their communities. Despite their differences in backgrounds and ethnicities, they all came together to work towards building a better future for themselves and their communities. As we sat with them through mentoring sessions, and over delicious Burmese/Inthar lunches and dinners, we also got to hear about their struggles, their pain and their grief. Despite the ethnic strife, the physical tribulations and the economic hardships that they have to go through, each of them have still chosen to come to our workshop, and chosen to believe that we can be a big part of this journey for their better future. APC will be back again to Myanmar later in 2018 for onsite visits to the projects and welcome all members to join in – to visit our work on the ground, but more importantly, to meet the people that you will be working with to help rebuild part of Myanmar.